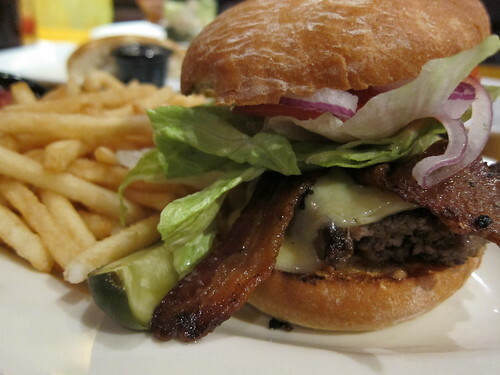 That has to be one of the best looking burgers though EVAR from the pic. I get that in practice it might have been too tall, but holy crap that pic alone makes me want to drop everything and run to coho. Be warned, however, that the meat is fairly tasteless, and instead relies solely upon the 1/4-cup of liquid smoke flavor that saturates the upper bun. A very cheap solution to a problem they didn’t care to solve with actual culinary forethought.